(HealthDay)—Several new recommendations from the American Academy of Pediatrics may just send toddlers into tantrums. The major change is that fruit juice is discouraged for the first year of life—and not just the first six months, as previously recommended. If anything, he said, offering babies juice could keep them from getting enough breast milk or formula—and the needed protein, fat and other nutrients they contain. Plus, the AAP says, once babies start eating solid foods, they should have whole fruit that is mashed or pureed, rather than juice. But for too many kids, the AAP says, juice becomes a replacement for whole fruits and vegetables—and the fiber, vitamins and other nutrients they provide. Plus, many beverages are not fruit juice at all—but fruit "drinks" that are basically water and sugar. According to Crim, it's important for children to learn healthy eating habits from an early age—which includes developing a taste for whole fruits and vegetables rather than juice. 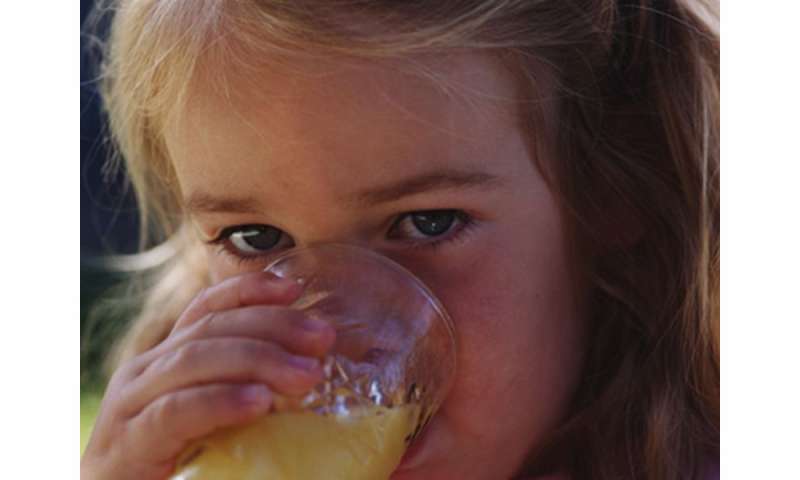 How much sugar is in your child's fruit drink?